I have my brother to thank for my love of the outdoors. And I think he has our mother and our godparents to thank. So it’s nice that I can venture into the great outdoors, feel the heart beneath my ribs and hang out with my favorite people: N, my brother and my niece. We woke early (for a weekend) and met at the Sultan Bakery (hello, breakfast burrito and apple fritter muffin, I think I love you.) Properly carbo-loaded, we raced the freight train and headed for the hills, crossing over the Foss River. To access the Tonga Ridge trailhead, we parked with a murder of Jeeps (surely a group of them is the same as for crows, no?) who were intent on “breaking trail.” Apparently, this is the thing to do if you have Jeeps and beer and nothing better to do. 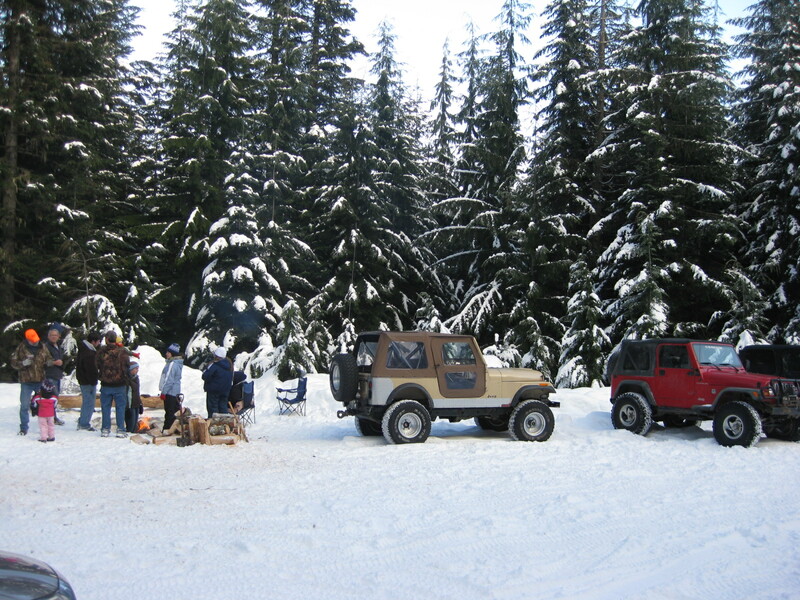 At least ten four-bys with nubby tires and winches, roll bars and off-road seat belts were parked huddled, waiting patiently like hunting dogs, ready to plow, get stuck and tow each other out. I swear saliva dripped from the bumper of the trucks–or were those icicles? 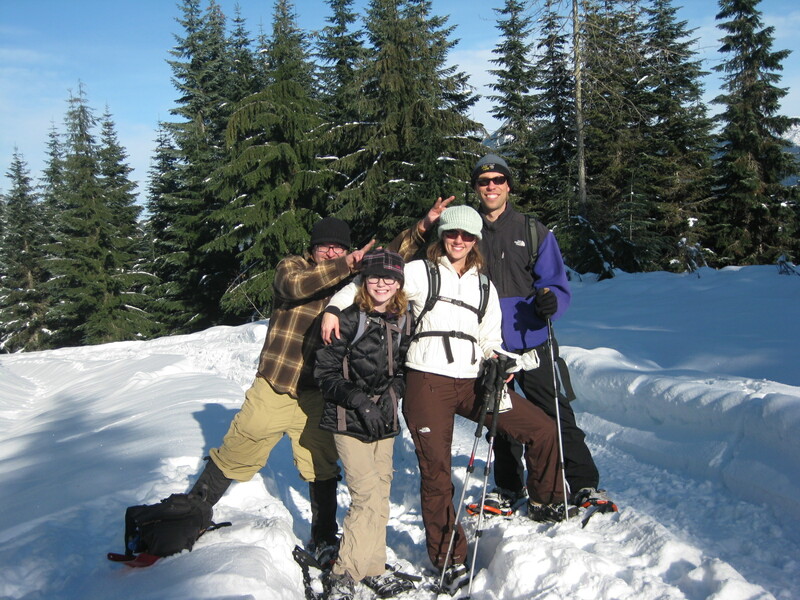 The Kitchens clan donned gloves, beanies and snowshoes and forged the path up, up, to the Tonga Ridge. The sun shone and all was right with the world, though my twelve-year-old niece complained otherwise. 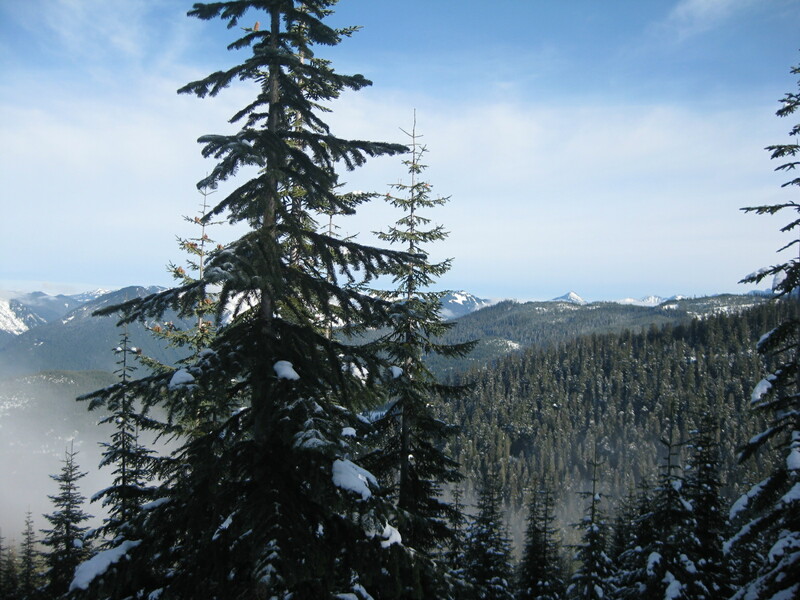 I will say, it was a bear of a hill, about a mile up a fire road just to the trail proper; I don’t know many twelve-year-olds who would even consider going out with their dad in sub-freezing temperature. The day proved that I could have just as much fun and get just as much exercise in the winter and I can in the spring or summer. The herd of us made plans to go again within the month, perhaps to Artist’s Point up by Baker. I had no idea I’d love winter so much–the range of playtime activities has increased a gazillion-fold! 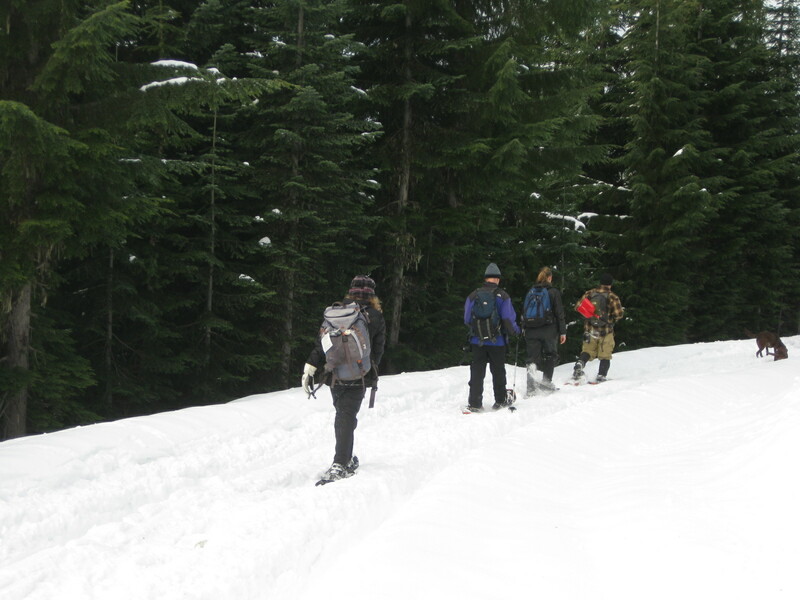 So, happy trails as you head out on your winter expeditions. Where are you hiking/running these days? Oh! Did I mention I signed up for a 10-mile trail run? Eek!